Welcome to another Needle and Thread Thursday, friends! I hope your summer sewing has been as fun as mine lately! It seems that for the third year in a row, I have decided that summer is the season to clean out my scrap jars. Two years ago, I made Serendipity, and last summer I made probably my favorite quilt of all time, Shattered Rainbow. The only color I have left is gray, and I'm planning something a little different from the first Shattered Rainbow quilt with them. I'm planning to finish up the grays this evening, and put the top together tomorrow, so be on the lookout! So, now that I've filled you in on the happenings in my sewing space, check out some of the amazing links from last week's party! 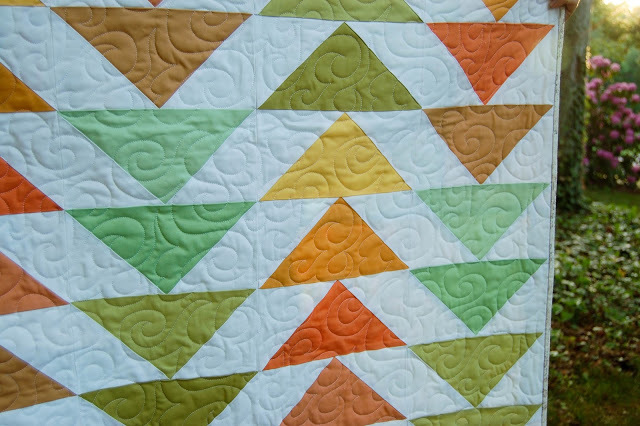 Measuring Success shared this sweet flying geese baby quilt. If you missed it, the back is just as awesome as the front. 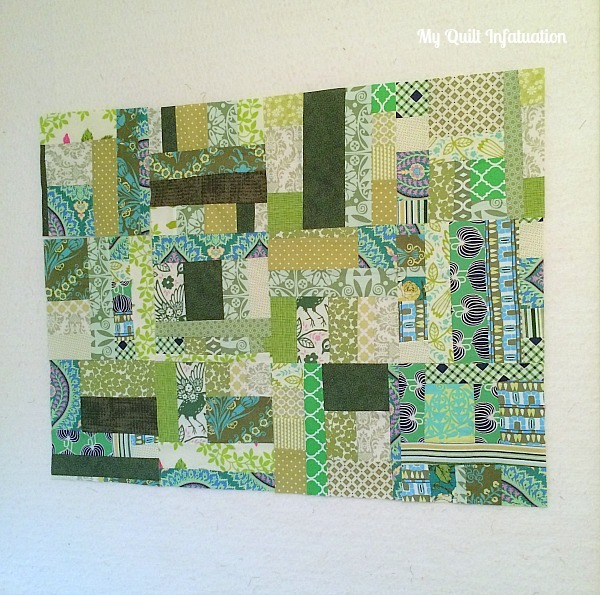 Jen's Crafts and Quilts Scrapbook linked up her Little Leap Frog finish. What a cute one! 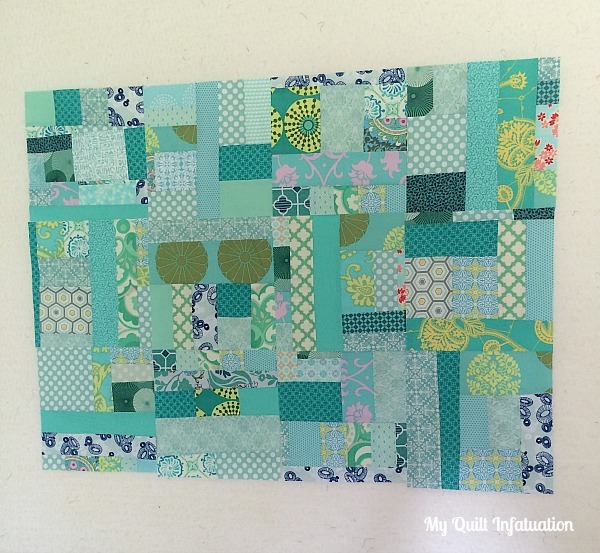 and this quilt by Carla at Grace and Favour is so fantastic. 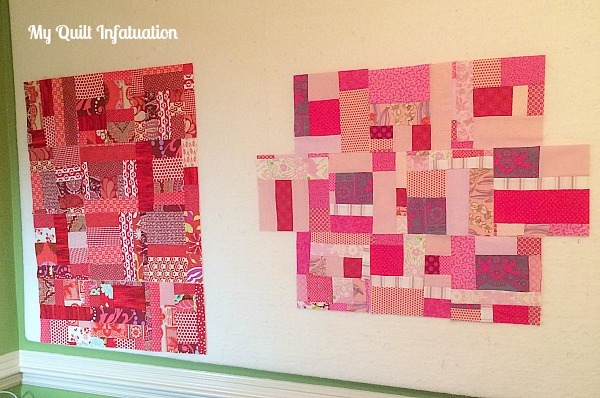 I love how the large, directional print plays with the pieced blocks. Okie dokie! Time to show me what you've got. Bring on the eye-candy! Kelly, it looks great! 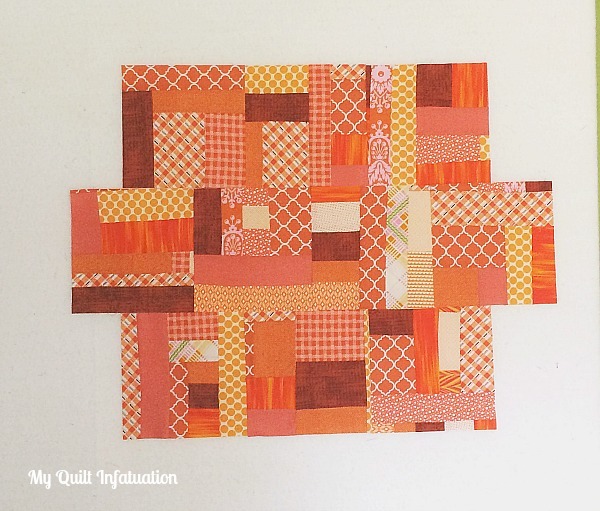 Are you using a pattern for the Serendipity quilt? I can't wait to see this come together! 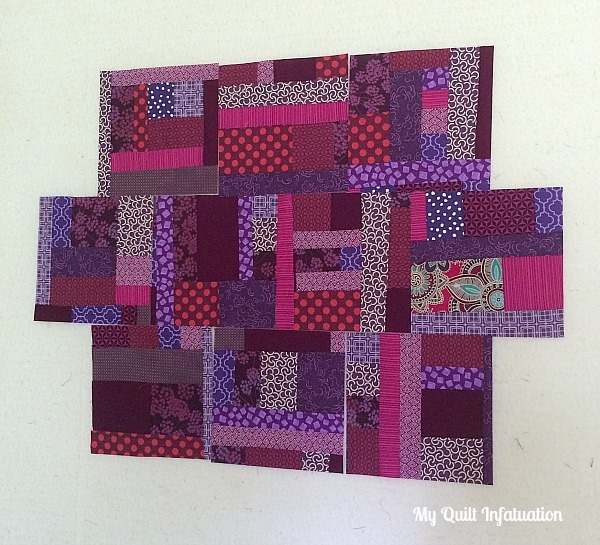 Great saturated purples! Great way to purge those scraps Kelly. I hope you share your finish with my Sunday Oh Scrap! This is going to be amazing! Who doesn't love a rainbow?! I love seeing the pictures and I'm not overloaded at all! Love, Love, Love all your rainbow blocks! 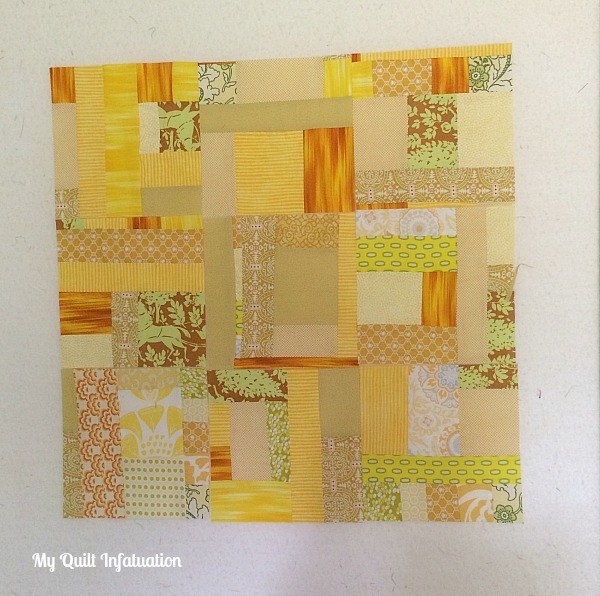 Can't wait to see the quilt top come together. That is a lot of scraps! Will we see this at guild? 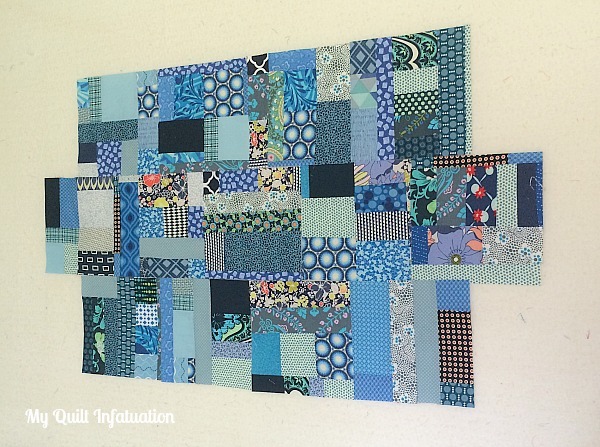 You have a great start on your next Rainbow quilt! I must admit that I am envious of your talent for putting all those beautiful fabrics together in such a pleasing arrangement.